What are our most dangerous and vicious dogs? It’s a question a lot of people ask. There is a saying about there being no bad dogs only bad owners. Each person must decide for themselves if this is true. The available information suggests that certain dog breeds have temperaments and tendencies that can lead them to be more dangerous and vicious than other dogs. The Center for Disease Control and Prevention (CDC) reports that 4.6 million Americans are bitten by dogs each year. About 885,000 of these victims seek medical attention, half of them children. Those aged 5 to 9 years old are especially vulnerable as are children two years of age and younger. Elderly people and home service providers, such as mailmen and meter readers, are among those frequently bitten. The American Society for Reconstructive Surgery announced in 2012 that 27,752 persons had reconstructive surgery following a dog bite. One third of all its 2012 insurance liability claims involved dog bites, according to State Farm Insurance. The average dog bite claim costs $30,000. In 2010 to 2014, an average of 33 people per year in the U.S. received fatal dog bite injuries. Here is the Center for Disease Control and Prevention’s (CDC) list of the Most Dangerous Dogs based on dog-bite fatalities recorded. Pit bull – Weighing up to 65 pounds, Pit Bulls are typically stocky and muscular dogs and are known for taking on any opponent. They will lock their jaws on their victim and fight until death. When acquiring this type of dog, be aware that a pit bull mix may also exhibit these characteristics. In CDC studies from 2007, pit bull type dogs were responsible for 67% of human fatalities. Rottweiler – Commonly used as guard dogs, a Rottweiler can weigh up to 130 pounds. They have an intense territorial instinct and can be very aggressive. German Shepherd – Often used as a police dog, this breed is confident and fearless and weighs up to 100 pounds. The Shepherd is also known for its intelligence and vigilance. Husky – These dogs can reach about 65 pounds and are energetic and intelligent. In an 18-year CDC study, they were found responsible for 15 human fatalities, but overall the breed is known for its kind temperament. Alaskan Malamute – Alaskan Malamutes require a lot of exercise and can grow to be 100 pounds. If they are very energetic and if they become bored, they may become disobedient. Doberman Pinscher – Known for their alertness, intelligence and loyalty, the Doberman is one of the best guard dogs. They can weigh as much as 90 pounds. Chow Chow – This breed requires a lot of attention and can become aggressive if they do not get it. They can weigh up to 70 pounds when full grown. Great Dane – One of the largest breeds ever domesticated, these dogs were initially bred as hunting animals. Also known as “German Mastiffs,” their main threat regarding injuries is their size. They can stand 30 inches tall and weigh 200 pounds. St. Bernard – Although bred as rescue dogs and known to have a passive temperament, Saint Bernards can weigh up to 155 pounds. Their size poses the greatest danger. Akita – Bred for dog fighting and bear hunting, Akitas are known for their intelligence and the excellent ability to serve as companion and assistance dogs. Many do not do well with strangers and a fence is a must if you own an Akita. To see the studies this list is based on, click here and here. is caught running loose three or more times violating ORC 955.22 (C). The term “dangerous dog” does not include a police dog that is being used to assist law enforcement officers in the performance of their official duties (ORC 955.11 (A)(1)(b)). A dog that “killed or caused serious injury to any person” while they were attempting to commit a trespass or other criminal offense on the property of the owner, keeper, or harborer of the dog.” (ORC 955.11 (6)(b)(i and ii)). has attempted to bite or otherwise endanger any person.” (ORC 955.11(A)(3)(a). Please note: “Menacing fashion” is defined as “a dog that would cause any person being chased or approached to reasonably believe that the dog would cause physical injury to that person.” (ORC 955.11 (A)(1)(b)(2)). **To see the relevant statutes in the Ohio Revised Code (ORC) for “Dangerous,” “Vicious,” and “Nuisance” dogs, click here and here. It is becoming more common for people to own a wolf hybrid or wolf-dog. 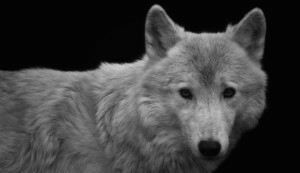 Some of the animals are more wolf than others and they are referred to as “low content,” “medium content” and “high content.” Although ownership of wolf-dogs is a contentious issue in the U.S. it is currently legal to own a wolf hybrid in Ohio and the same regulations that apply to other types of dogs apply to them. Wolf hybrids are not considered exotic animals or dangerous wild animals. If a dog is designated a “dangerous,” “vicious” or “nuisance” dog, its owner must meet certain requirements concerning the way the dog is kept and how it is handled when it is off the owner’s property. There are further restrictions on dog ownership of very young dogs and limitations on owning dangerous and vicious dogs if the owner has recently been convicted of a felony (within past three years). 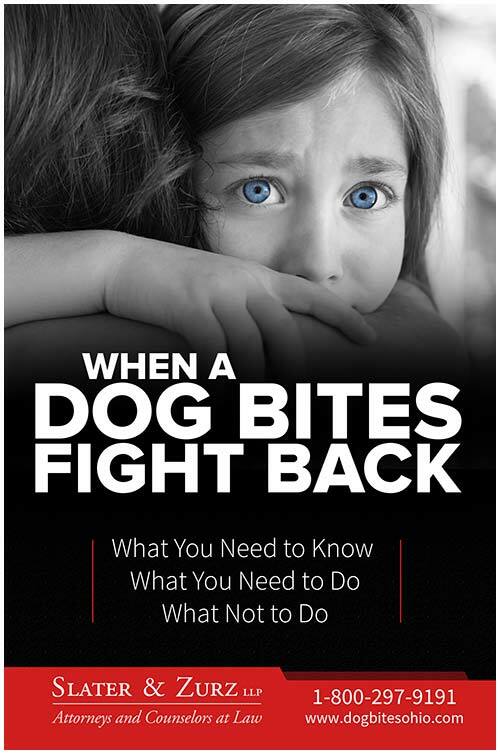 The first thing you need to do if you are a dog bite victim is seek medical help immediately. Take photographs of your injury or ask a friend to take the pictures. Try to obtain the names of the owner of the dog, all handlers, any witnesses and contact information for all. Report the incident immediately to your local animal control authority. The dog warden, or a person holding a similar position (animal control officer, etc. ), is responsible for notifying the owner that the dog has been designated a “dangerous,” vicious” or “nuisance” dog. If the dog did not bite you but chased you in a menacing way, making you believe that physical injury could result, you should report the incident to animal control. The authorities need to know if dogs are running wild and threatening the community. Someone complains to animal control officials about the dog, or an animal control official designates a dog as dangerous, vicious or a nuisance because it is running loose or may have bitten a person. The animal official notifies the dog owner of the dog’s status. The dog owner can request a court hearing to attempt to prove his animal is not dangerous, vicious or a nuisance. In some areas of Ohio legislators are trying to give more bite to penalties for dog injuries. Dayton legislators hope to introduce a bill that will provide stiffer penalties for the owners of vicious dogs in Ohio. The legislators are also discussing giving dog control officers more authority and establishing a database that would enable people to view where dogs designated as “vicious” are located in their neighborhood. It is important people realize there are Ohio laws governing dog owners who do not take care of their animals or whose dogs cause injury to people and other animals in the community. If people own dangerous or vicious dogs they need to properly confine them and restrain them. They need to follow the rules on posting signs on their property warning about the dog(s) and obey the laws about registration and debarking. When someone’s dog harms another person that person may be legally liable according to various laws in Ohio. If the responsible dog has been designated a dangerous, vicious, or nuisance dog, its owner will face civil penalties and fines as well and could even be looking at time in jail. If you have been injured by a dog you want to know what to do and where to get help. 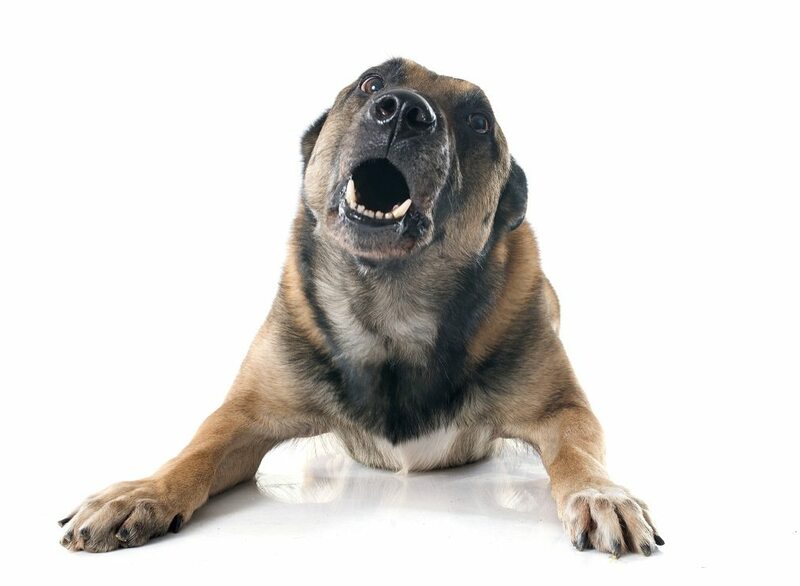 We can tell you what do and how we can help with a free consultation with one of our experienced dog bite attorneys. A free consultation will cost you nothing whatsoever and you are under no obligation to hire our law firm. We make ourselves available to assist dog bite victims at all times including weekends, holidays and evenings. Contact us now by calling 1-888-998-9101, chat with our live on-line representatives or send us a website message. A one-year study of dog bite fatalities in 1977. An extensive study from 1979 to 1998 which was released in 2000. The CDC continues to study dog bite fatalities. There have been several major studies in the United States of human deaths caused by dog bites. The earliest covered the years 1966-1980 and was conducted at the University of Texas Southwestern Medical School. It identified 74 fatalities, but no pit bull attacks. Later studies named pit bills as the number one dog found to fatally wound victims. View the study. The CDC released a one-year study of dog bite fatalities in 1977 and performed a more extensive study which covered 1979-1998. The latter was released in 2000. It found 327 people killed by dogs in the 19-year period with 67% of the deaths caused by Pit Bulls and Rottweilers. From 1979 to 2005, a study was done by Wilderness & Environmental Medicine, an international journal. It found 504 deaths over 26 years with 55% of the victims less than 10 years old. The study did not identify the breeds of the dogs responsible for the deaths. The Wikipedia website goes back to the late 1800s in cataloging fatal dog attacks. They supply yearly lists of fatal attacks and give details on the circumstances of each fatality listing the type of dog responsible, if known. Their information is taken from various news accounts and the site supplies links to articles about the attacks. See the List on Wikipedia. The Daily Beast, an American newspaper and opinion publication, rated breeds of dogs in 2010. The Beast assigned each dog a numerical value based on a report by Merritt Clifton, editor of Animal People newspaper. Clifton studied press accounts of dog attacks from 1982 to 2009 in the U.S. and Canada. Read the article. A list of the most dangerous dogs in Ohio. Read about the recent law removing pit bulls from being defined as a vicious dog.